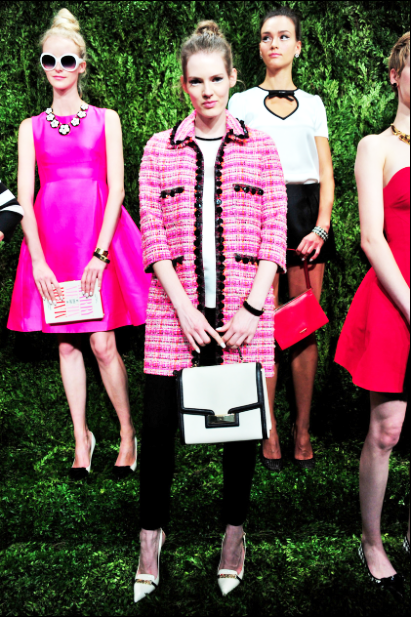 In my perspective, Kate Spade Spring 2014 RTW Collection is very quirky and elegant at the same time. When I saw their Spring 2014 collection, I suddenly flew into a magical flower garden and finally found out that Deborah Lloyd visited Gardens of Giverny to get some inspiration. Without any doubt, I googled the garden and amazed by how beautiful the place is. No wonder it persuades Deborah to create such a beautiful masterpiece. 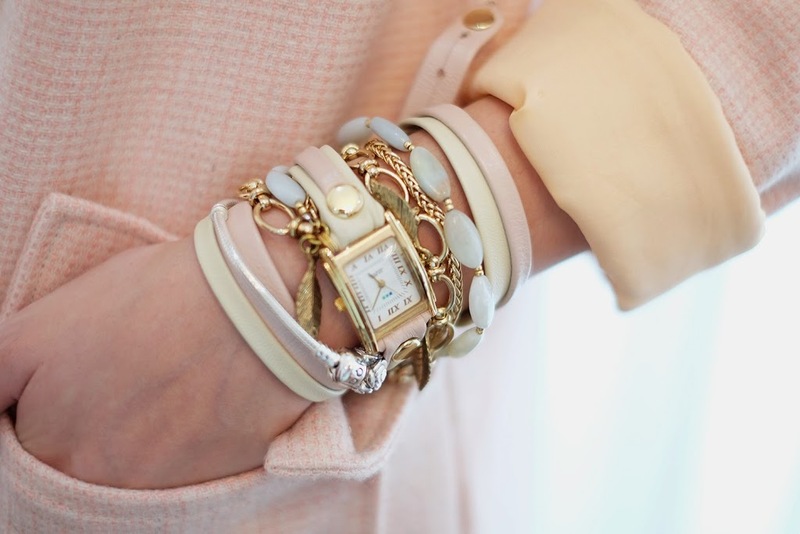 As we all know, Kate Spade always portrays cheerfulness and freshness with their colorful scheme. As I browse through their collection, I found a look that represents my personality. I said to myself, “I definitely would wear that thing!”. 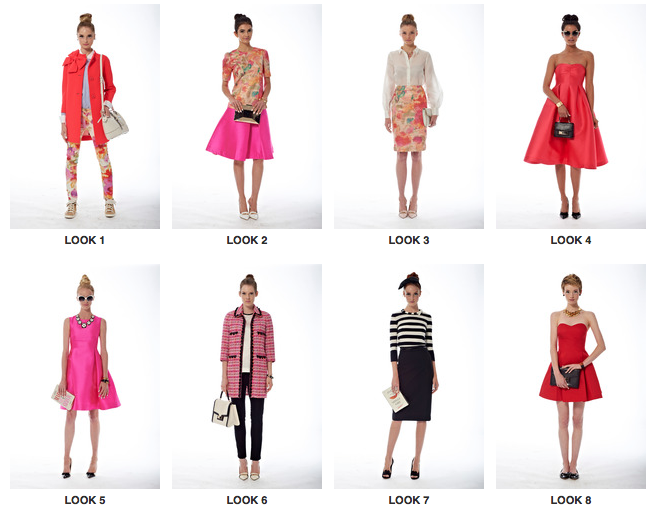 If you could guess which one is my favorite look, you are a good follower of olivialazuardy.com. The answer is Look number 6! Every look that portrays smart, clean and elegance never fails me. The other looks that caught my eyes are number 3,4 and 8. Well, I actually love most of them though. But for now, my favorite goes to number 6. You are so adorable! Love the blazer!